Linda Joyce Harris, 75, of Santa Barbara passed away in the early morning hours on Saturday, Jan. 30, from complications related to a chronic lung disease. Her life was a testament of service to others. Linda was born Dec. 11, 1940, in Warren, Ohio, where she was raised. She moved to Columbus, Ohio, to complete her Bachelor of Science degree in nursing from Ohio State University in 1963. She settled in Columbus, where she married her high school sweetheart and had three children. She remained there until 1976, when she moved with her family to Canon City, Colorado. Following her divorce, she returned to school to earn her Master of Science in Nursing with a nurse practitioner degree from the University of Colorado while continuing to work full time and raise three children. In 1981, Linda settled with her three children in the Santa Barbara/Goleta area, where she provided nursing care to the local community in a variety of positions. These include stints with Public Health, the Visiting Nurses Association, Hospice, the Westside Medical Clinic, Planned Parenthood, the County Jail, Juvenile Hall, Senior Health and UCSB. During the early 1980s, she was director of nursing education at Santa Barbara Cottage Hospital, but in 1985 she decided to take a 50-percent pay cut to undertake what she called “a journey of the heart,” becoming California’s first traveling public health nurse for the homeless. Her pure spirit and gentle and healing touch were perfectly suited to serve the needs of these forgotten members of society. In 1993, she married her soul mate, Bob Miyade, and in 1998 she took a position in private practice at the Country Medical Clinic in Solvang, where she worked until she retired. She had the rare capacity for unconditional love and selfless service to others. A deeply spiritual person, she loved to read, write in her journals, meditate, and dote on her grandchildren. She will forever be remembered as the most open, loving and generous person one could ever hope to meet. 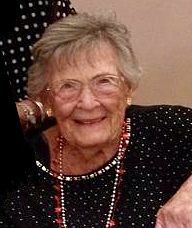 She is survived by her devoted husband, Bob Miyade; her three children and their spouses, David and Marj Hoover, Suzanne and Peter Paton, Tim and Kelly Hoover; her seven beloved grandchildren, Jordyn Hoover; Kayla and Emma Paton; Chase, Luke, Grant and Savannah Hoover; and her brother, Jeff Harris. She was preceded in death by her parents, Herbert and Mary Harris; her sister, Molly Harris; and Tara, her Tibetan Terrier. A celebration of life ceremony for Linda Harris will be held this Saturday, February 6, 2016 at 1:00 p.m. at Godric Grove located at Elings Park, 1298 Las Positas Road in Santa Barbara. In Linda’s honor and memory, please consider donating to an organization that helps those in need.